Dancers Responding to AIDS, founded in 1991 by former Paul Taylor Dance Company members Denise Roberts Hurlin and Hernando Cortez. It is a program of Broadway Cares/Equity Fights AIDS, one of the nation’s leading industry-based, nonprofit AIDS fundraising and grant-making organizations. By drawing upon the talents, resources and generosity of the American theatre and dance communities, since 1988 Broadway Cares has raised more than $285 million for essential services for people with AIDS and other critical illnesses across the United States. The Broadway Cares/Equity Fights AIDS information below is inclusive of DRA’s efforts. In a New York City apartment more than 25 years ago, two dozen dancers brainstormed what they could do to help so many of their colleagues who were battling AIDS. Denise Roberts Hurlin and Hernando Cortez, dancers with Paul Taylor Dance Company at the time, mobilized the group and ultimately created Dancers Responding to AIDS in 1991. It was the dance community’s first ongoing effort to raise awareness and money to directly help those living with AIDS. The vitality of DRA comes from the extraordinary support of the dance community. 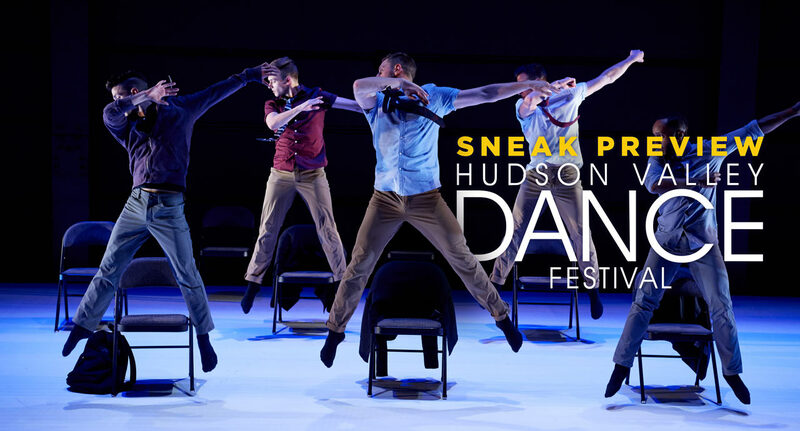 Professional dancers from companies across the country, performing arts organizations, student dancers and dance lovers contribute to annual DRA events, like Fire Island Dance Festival, Hudson Valley Dance Festival and Dance from the Heart, audience appeals and DRA’s Dance Student Outreach Project. Today, Dancers Responding to AIDS remains at the forefront of the performing arts community’s support efforts. DRA is a program of Broadway Cares/Equity Fights AIDS, one of the nation’s leading industry-based HIV/AIDS fundraising and grant-making organizations. Combined with the efforts of Broadway Cares, DRA has helped raise more than $285 million dollars for essential services for people with HIV/AIDS and other life-threatening illnesses across the United States. Funds raised by DRA and Broadway Cares are awarded as grants to more than 450 HIV/AIDS and family service organizations nationwide, including health clinics, soup kitchens, housing initiatives and more. DRA and BC/EFA also support the essential social service programs of The Actors Fund, including the HIV/AIDS Initiative, the Phyllis Newman Women’s Health Initiative, the Al Hirschfeld Free Health Clinic and The Dancers’ Resource. Dancers Responding to AIDS received a Dance Magazine Award and New York Dance & Performance Bessie Award in recognition of its contribution to the dance community. Broadway Cares/Equity Fights AIDS helps men, women and children across the country and across the street receive lifesaving medications, health care, nutritious meals, counseling and emergency financial assistance. We are one of the nation’s leading industry-based, nonprofit AIDS fundraising and grant-making organizations. By drawing upon the talents, resources and generosity of the American theatre community, since 1988 Broadway Cares/Equity Fights AIDS has raised more than $285 million for essential services for people with HIV/AIDS and other critical illnesses in all 50 states, Puerto Rico and Washington DC. Broadway Cares/Equity Fights AIDS is the major supporter of essential social service programs at The Actors Fund, including the HIV/AIDS Initiative, the Phyllis Newman Women’s Health Initiative and the Al Hirschfeld Free Health Clinic. We also award annual grants to more than 450 AIDS and family service organizations nationwide. Broadway Cares/Equity Fights AIDS began as two separate organizations. Equity Fights AIDS was founded in October 1987 by the Council of Actors’ Equity Association. Money raised through the efforts of Equity theatre companies across the country was specifically earmarked for The Actors Fund’s HIV/AIDS Initiative. Broadway Cares was founded in February 1988 by members of The Producers’ Group. Money raised was awarded to AIDS service organizations nationwide, including Equity Fights AIDS. In May 1992, Equity Fights AIDS and Broadway Cares merged to become Broadway Cares/Equity Fights AIDS. The Board of Trustees of this newly established not-for-profit fundraising organization assumed the missions of the previously separate organizations. Unlike most other nonprofit, grant-making organizations, Broadway Cares/Equity Fights AIDS must raise every dollar of our philanthropic budget each year in order to fulfill our mission. In turn, BC/EFA works hard to ensure that the money we raise is spent carefully and wisely on programs where these hard-earned funds can have the maximum possible impact. Our federal ID number is 13-3458820. To support efforts by the entertainment industry in other charitable or educational endeavors, in each case as approved by the Board of Trustees.